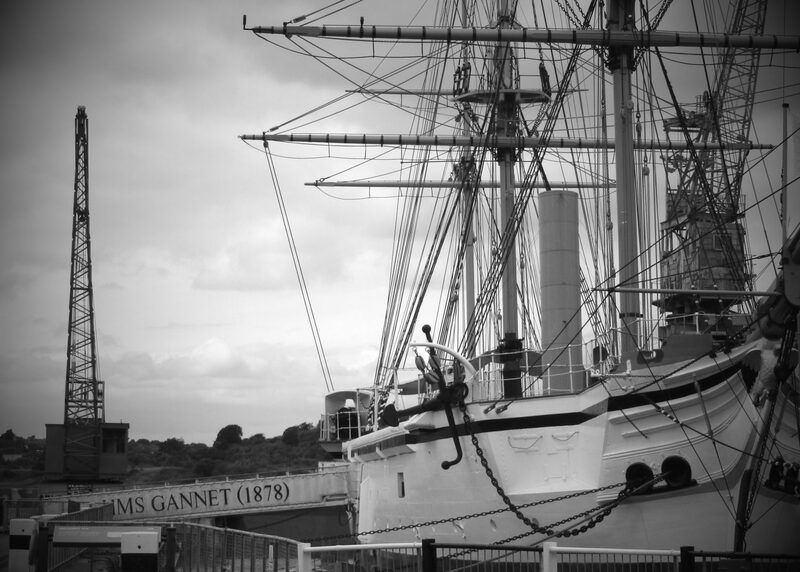 There are 2 sets of these as you enter the historic dockside if you look to your left , they are the only surviving examples in the country. 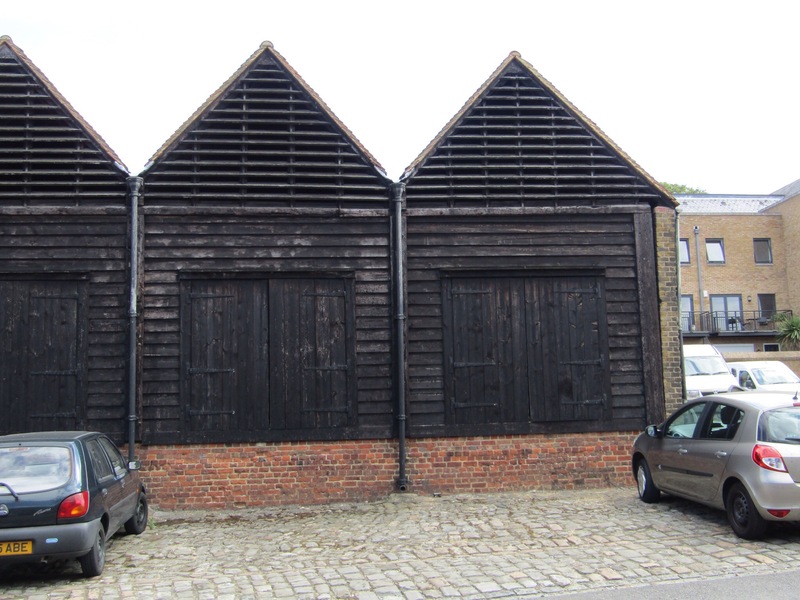 The sheds were built after a visit by the Earl of Sandwich and other Commissioners of the Admiralty board in 1771 , they were dismayed to see that the timbers were poorly seasoned and there were many ships with rotten timbers as a result of poor construction. 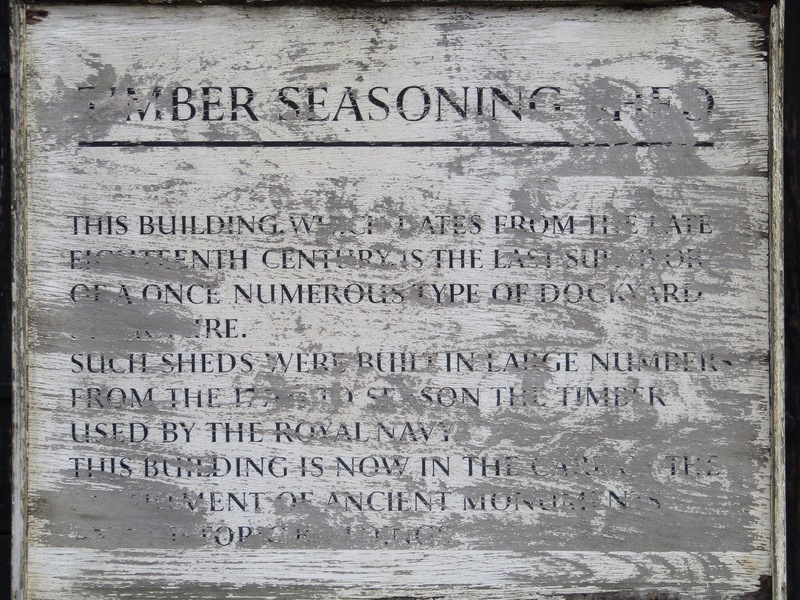 As a result 75 bays were built in 1775 so that at any one time there was around 3 years stock of timbers seasoning during its peak. 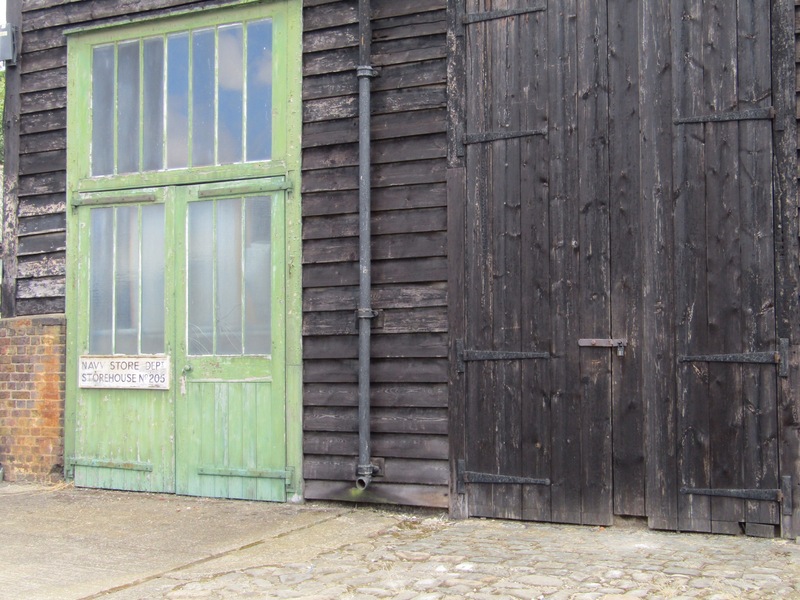 In later years as wooden ship building declined they were converted to store iron due to their location behind the metal workshops.